Shutdown, sleep and hibernate, many of us are familiar with these, probably from our first computer class. But, most might not be familiar with hybrid sleep and fast startup. They launched with Windows Vista and 10 respectively. These terms are known as “power management modes”. They help reduce your computer’s consumption of power. But have you ever wondered what happens when your computer sleeps or hibernates? Have you ever thought about these terms and what they mean? Let’s answer those questions for you. This process turns off a computer after saving the running state of the system e.g., services, documents, and apps to its hard disk. When the system is powered on, the apps and services are reinstated so users can start where they stopped. This mode saves more power in comparison to the sleep mode but takes more time to wake up. It is different from shutting down the computer because the normal operation can resume on the system waking up. The shutdown process totally disconnects the power supply to the computer. The CPUs, random access memory (RAM) and the hard disk are all shut down as opposed to sleep and hibernation. Running services and apps are not reinstated on reboot and starting up the system takes longer in comparison to the other modes. It is usually advised that all software and apps are closed before proceeding to shut down to prevent any imperfections in storage or use. In sleep mode, the running state of the computer is saved to the random access memory (RAM) and the system uses a little power to keeping it running while other components are turned off. Normal operation can resume instantly when the system is woken up usually by pressing a key. As long as the system is powered, it can stay in sleep mode for an indefinite period. 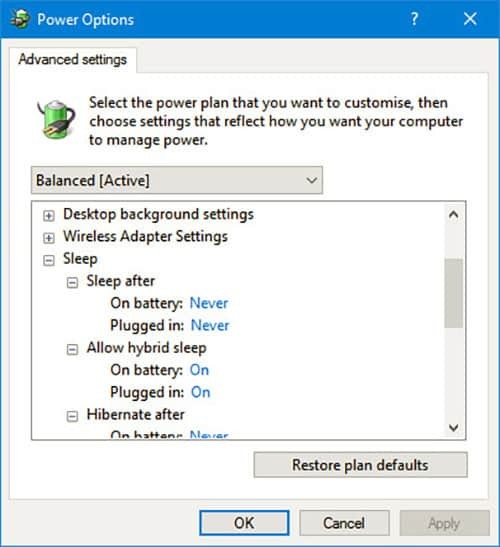 The hybrid sleep mode, launched with Windows Vista combines hibernation and the sleep mode. The system hibernates, saving running state in its hard disk and then sleeps, so it can be woken easily. The advantage of this mode is work will not be lost should there be a power outage as it be can be restored from the hard disk. 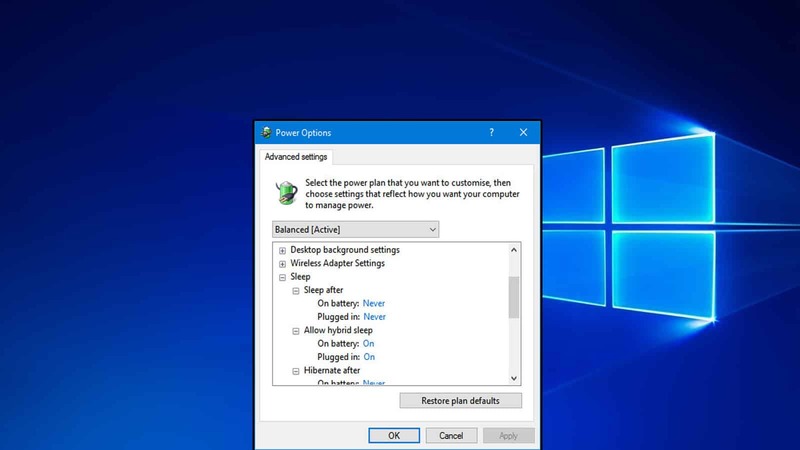 This mode launched as an option with the Windows 10 operating system. It is also known as ‘fast boot’. If the feature is enabled, the computer takes less time to boot. 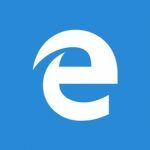 The system shuts down as normal but saves system files to a hibernation file. When the system reboots, the RAM is refreshed with data from the hibernation file and Windows starts immediately, avoiding the usual loading process. It differs from hibernation as it doesn’t reinstate running state. The fast startup only works if the system has a hibernation feature. So, while trying to decide which option suits you best, always remember to save or back up your work and files to avoid the stress of data recovery. RAM is the 880ns chips that is on the CPU memory bus. This can be volatile and should the power go the content of this will be lost. It can be non-volatile, and survive complete power-off. The common in operating system is to map the memory – RAM to disk memory, and keep a copy og the physical memory on the disk – “virtual memory”. The problem with this is that virtual memory is updated when it is updated – at random intervals. At power off, the disk is usually not synced with RAM, so when you boot, the disk image of the RAM has to be built, and then the 8GB of RAM has to be loaded, and then can things resume. Sleep is where you sync RAM and disk image of RAM. Hibernation is where a dedicated image is made when you close the lid, allowing the computer to check and verify RAM and resume without loading 8GB from the disk. The last two are Microsoft special variants. Look at the difference – there are two “disk images” that has to be made: one that maps the 8GB of paging that VMS manage, they are virtual memory, and then the address spaces of the processes – the address space of the kernel, active processes with their state. Windows can make a ton of things in between and call it whatever they like. Just don´t mix memory space, the difference between RAM and disk storage.